"Please the Gods and you may be rewarded with unimaginable riches in this exciting Betsoft video slot released in December 2017." 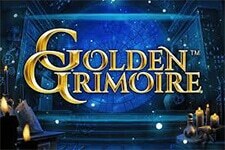 It seems the gambling industry will never get tired of the games that draw their inspiration from the Egyptian mythology. 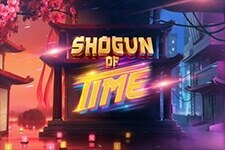 One of the latest Betsoft releases takes the familiar theme and combines it with the Cluster Pays mechanics, creating an exciting game with thrilling gameplay and plenty of opportunities to win cash prizes. Legend of the Nile features an expansive six-reel six-row layout but offers no paylines whatsoever. Instead, wins are triggered by clusters of 4 or more adjacent symbols and whenever a win occurs, the triggering symbols will explode and new ones will drop into the place, offering even more chances of grabbing a win! Isis, Queen of Heaven, Ra, the God of Sun, and Anubis of the Underworld await you. Walk the Trails of Gods and win hefty payouts going up to 400x your wager, trigger amazing features and there's even a progressive jackpot at hand! 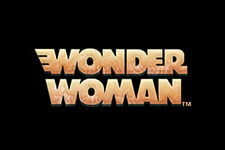 Before this fantastic adventure begins, be sure to choose the wager that suits your playing style and budget. 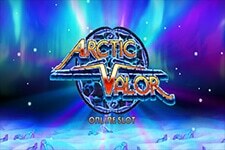 The coin denomination is set from $0.02 to $1 with up to 5 Bet multiplier for a total wager ranging from a mere $0.30 to $15 per spin. On the reels, set against the backdrop of the river Nile, you'll find symbols in the form of hieroglyphics - both low-value and top-paying ones, perfectly matching the entire theme. The symbol featuring the Pyramid serves as the game's Wild, substituting for all other symbols, except Ra, Isis, and Anubis. Wilds can be especially lucrative, since 4 of them or more can give a prize going up to $6,000! 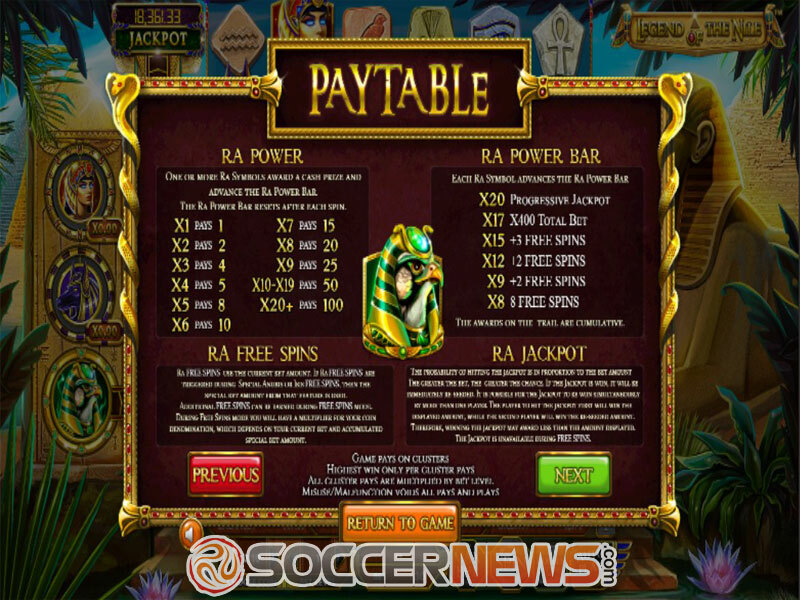 Ra symbol is responsible for triggering Ra Power, Ra Free Spins and Ra Jackpot. Each time a Ra symbol gives a prize, Ra Power Bar, located on the left part of the screen advances. Ra's Trail offers a plethora of prizes, ranging from 8 free spins for 8 symbols, to a payout worth 400 times the stake for 17 symbols and a progressive jackpot for 20 symbols! Anubis can activate Anubis Trail and Anubis Free Spins. A minimum of four Anubis symbols is needed to advance Anubis Trail. The trail, which goes forward one step per symbol in the winning cluster resets only after the Anubis Free Spins feature is triggered. 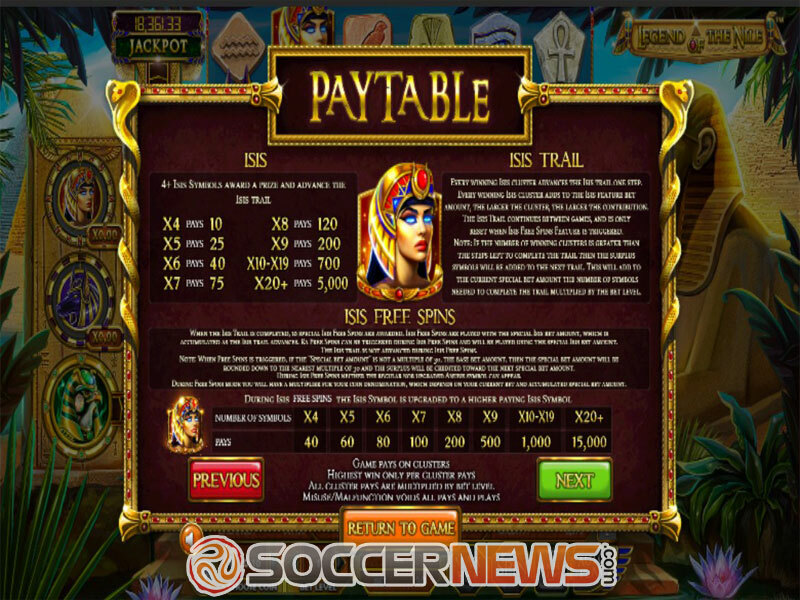 Likewise, Isis symbol triggers the corresponding Trail and Free Spins feature, applying the same rules when it comes to advancing forward and resetting the trail. 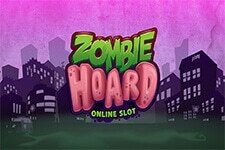 The game also has the Double Up feature available and it allows players to gamble their winnings each time they win during the Main Game. Choose between head and tails, and a correct guess may double the money you've won or leave you empty-handed. 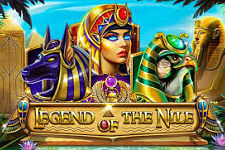 Visit any of Betsoft casinos and find Legend of the Nile. 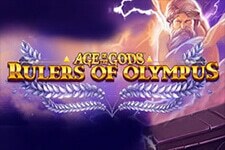 Walk the Trails of Gods and win rewards. 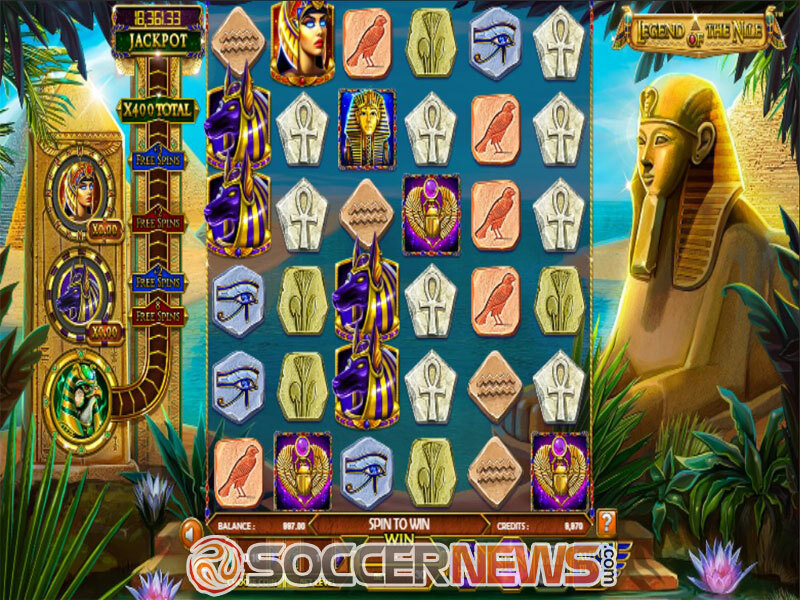 "Betsoft is taking the familiar Egyptian theme to a whole new level with Cluster Pays mechanics, Exploding Wins and an expanding grid, and lots of neat features intended to help you grab big bucks. Top-notch visuals, immersive gameplay and an unforgettable playing experience are the combination for a great release you'll enjoy playing."